What Causes Chin Hair in Females? How to Get Rid of Coarse Chin Hair (Without Shaving)? How to Get Rid of Ingrown Hair Bumps Under Chin? While there’s no big, bad, wolf to huff and puff and blow your house down, unlike the chin hair-proud three little pigs, you’re probably self-conscious of your chin hair no matter how fine or attention-grabbing, coarse it is. It’s totally understandable, girl! And, before we move forward, let me tell you this, you are beautiful no matter what! You’re probably here looking for ways on how to get rid of chin hair, you’ve come to the right place! This article is jampacked with lots of valuable information on chin hair removal. So, whether you’re looking for a more natural approach, a device or a more permanent solution, I got you covered! First off, let’s understand why some women are predisposed to having chin hair, unlike others. There are a variety of factors that could cause excessive hair growth in women, including chin hair. While some women can easily trace it back to genetics (especially for Asian, African and Middle Eastern women), other women’s excessive hair growth is caused by a more complex factor called Hirsutism. The main reason? Hormonal imbalance. When there’s an overabundance of the male hormone (androgen), women experience male-pattern hair growth (Hello, chin hair! How are ya?) alongside other symptoms. How to get rid of hair on your chin naturally? You’d be surprised to know that some of the best hair removal solutions can be found right in your kitchen. But with all these hair removal concoctions claiming to be the best and most effective, which ones are really worth trying? Pour ¼ cup of water on a saucepan over medium heat. Add 2 cups of sugar and ¼ cup lemon juice, mix until well combined. Bring to a boil until the mixture loosely thickens, reduce heat for a few minutes. Allow the mixture to cool down to a tolerable temperature. Using a popsicle stick or wax applicator, spread the mixture evenly on your chin and place a waxing strip over it. Hold your skin taut and pull the strip in the opposite direction that your hair grows. Repeat if necessary. No time to make one? Check out my recommendation under the review section! Don’t know what’s the difference between sugaring vs waxing? Find out here! In a microwaveable bowl, combine all the ingredients. Pop it in the microwave for 12 seconds on high. Allow the mixture to cool down to a temperature that you’re comfortable with. Using a wax applicator or a mask applicator, apply the paste on your chin (or face, making sure to avoid your under eye area). Wait for 30 mins. or until the mask has fully dried. Remove the mask by slowly lifting the edges beginning from the jaw area and working your way up. Voila! Soft, smooth and peach fuzz-free skin! Mix all the ingredients together to form a paste. No heating required. 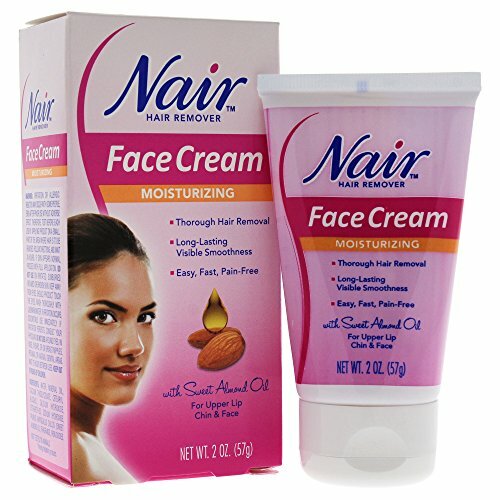 Apply the paste on your chin area. Wait until it completely dries. Peel it off. Nothing is as straight forward and easy as this! Out of curiosity, I tried doing the gelatin mask once, and it blew me away. Not only did it get my peach fuzz but it also took out my blackheads and whiteheads. Not sure though if that’s what made my face brighter afterward or the ingredients itself, I’ll keep using it to see if there are any other positive differences worth noting. If DYI-ing is not your thing and would rather get salon or professional treatments, you may try Threading. This hair removal method is uber-safe for women with sensitive skin who want to avoid chemical-laden products. Threading utilizes a long strand of thread strategically twisted and looped around the fingers which efficiently grabs hair from the roots no matter how thin or coarse it is. More on threading and how you can even do it on your own at home, read here! Rebelliously coarse, dark chin hairs need a more aggressive solution. While shaving seems to be the quickest facial hair removal method, I find this the least favorable method for girls with coarse chin hair as it amps up the chances of getting ingrown hair and can lead to coarser, more darker chin hair. If you want better and longer lasting results, stick to waxing or threading. These methods pull hair from the roots and can last you days or even a week compared to shaving, which only keeps you smooth for a few hours. Want a more permanent solution? You may try electrolysis (permanent hair removal method) or laser hair removal (semi-permanent hair removal method. Ex: IPL or Intense Pulsed Light). For more information on waxing, you may visit my previous article here. Going the IPL route? You can do it at home using the best at-home IPL machines! Check them out here. Ingrown hair bumps are annoying to see and feel (like, hello? they’re super itchy!). Use a gentle face brush to exfoliate the area – These bumps are caused by hair growing inwards and are trapped within a layer of dead skin. Sloughing away dead skin cells at least twice or thrice a week not only reveals a fresher layer of skin but can also free up nasty ingrown hairs. Use a glycolic/salicylic acid/retinoid infused facial wash – The key to removing ingrown hair bumps is exfoliation. These active ingredients help your skin shed old or dead skin cells. Use Benzoyl Peroxide ointment – The same thing you use for acne can also be your saving grace in vanishing these irritating, red, bumps especially if they become infected. Try facial steaming – this will open up the pores, and just overall make your skin appear healthier. Why do you think saunas are so popular? For more info on dealing with ingrown hair and the best products against them, read here. Personally, I got rid of my ingrown hairs with products by Tend Skin. And now, for the moment Y’all have been waiting for, I present the top 5 best chin hair removal products that’ll make chin hair a thing of the past. “I got no hair on my chinny, chin, chin!” – You. No time to make your own sugaring mixture? Fret not! 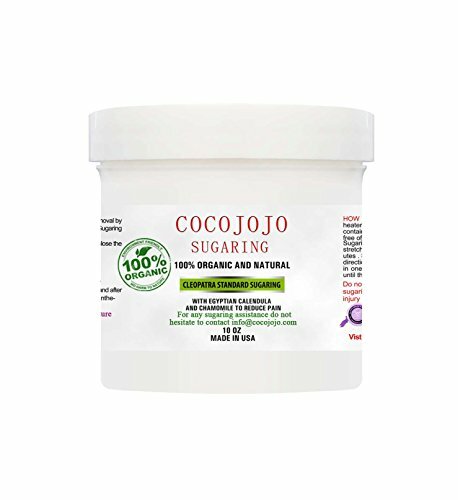 For all my busy ladies out there, this sugar wax is the perfect solution to your chin hair woes. Made with nothing but all-natural ingredients, you can be sure that it’s safe for your skin. Its high sugar content helps control bacterial growth and cross-contamination. How sweet is that? No heating required (it softens based on room temperature and can be used either in its solid or slightly fluid state). Clean up is a breeze (all you need is water). Need a quick touch up? 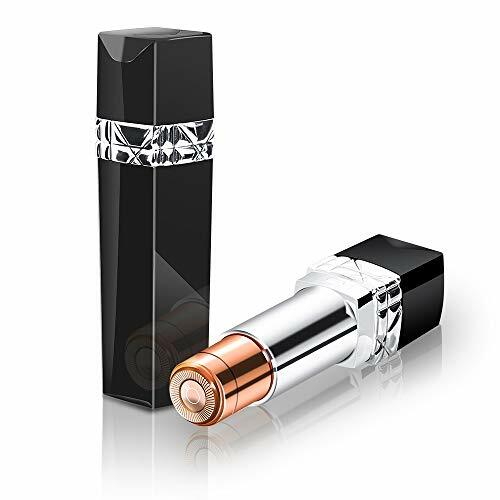 This lipstick-sized electric shaver is small enough to fit in your everyday purse yet powerful enough to whisk your unwanted hair away. Battery operated and waterproof means you can conveniently bring it in the bathroom and anywhere you may please. 100% pain-free perfect for hair removal newbies! Portable (perfect size and no cables needed). Operates on 1 AA battery. Not suitable for women with dark, coarse unwanted hair. No battery indicator (I guess that takes up space!). Nothing beats this wax for sure. No wonder it’s so popular and a personal choice for a lot of professional waxers. 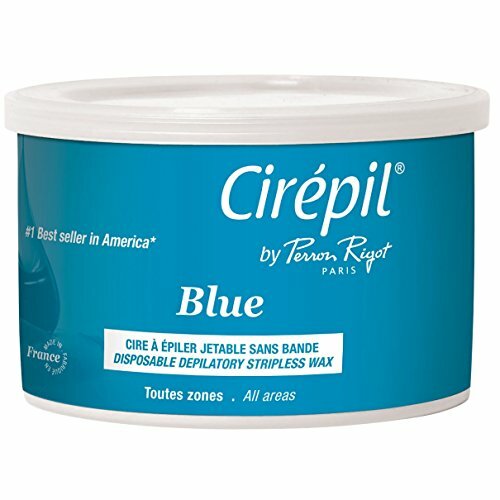 Perfect for sensitive areas like your face, neck and bikini lines, this wax doesn’t require the use of strips as it is super easy to strip off of your skin. No crumbling, no sticky feel, just smooth and hair-free skin for days! Can still be messy especially for newbies. Don’t underestimate the power of this tiny tool. It may seem just an innocent, springy object that could replace your fidget spinner, but it’s a powerful unwanted hair buster. With no batteries required to operate, all you’ll need is a little effort to turn that patchy Bermuda grass into a chin that is as smooth as a baby’s bum! Affordable and can be used for a looooooong time. Grabs hair from the roots. Bonus: a great, springy toy to play with when you’re bored (no one knows what it is anyway!). If you’re new to hair removal and are afraid of pain, then the good ol’ Nair is your best bet. This moisturizing cream is made with a gentler formula (compared to their body version) that makes it safe for facial use. This miracle in a tube, not only dissolves hair but also exfoliates the skin giving you a fresher, more glowing skin! Hair grows finer and lighter on some individuals. Results are not long lasting compared to waxing. Leaving it for an extended period other than what is indicated on the instructions may lead to chemical burns. Want to look at some of the best depilatory creams for the face? Read here. Interested just in the Nair? Perhaps read the debate of Veet vs. Nair. The best method on how to get rid of chin hair depends on your pain tolerance, budget, and how much time you have available to make this as a part of your routine. The methods and hair removal solutions presented above are some of the safest and most effective out there. Feel free to try them, starting with the products you already have at home. 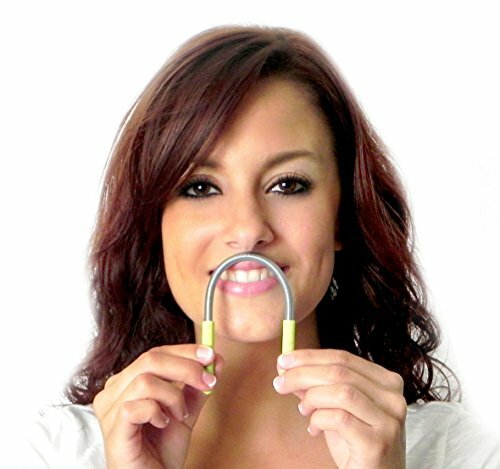 Facial hair removal need not be hard and pricey, you just need to find the right products that will suit you and your needs. What’s your fave chin hair removal product? Have you tried any natural hair remover? Share it with the team. Good luck with your hair removal journey! P.S. For more info on hair removal options, kindly check out my Hair Removal section of this blog. There, you’ll find lots of informational articles on all things hair removal! From waxing, shaving, epilating and lasers, you’ll surely find something based on what you’re interested in.